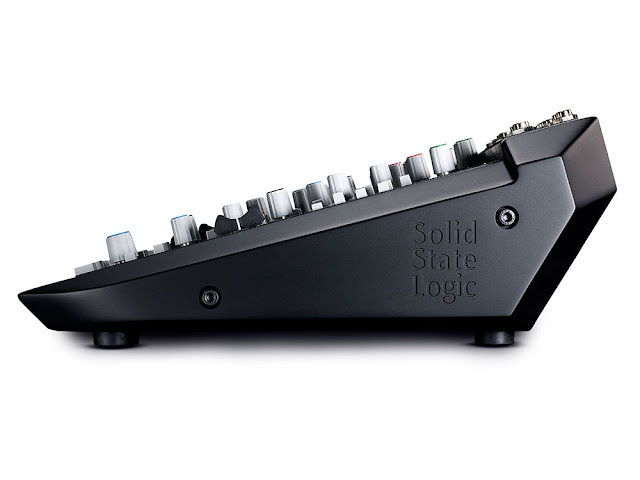 Solid State Logic have just announced SiX - The Ultimate Desktop Mixer. 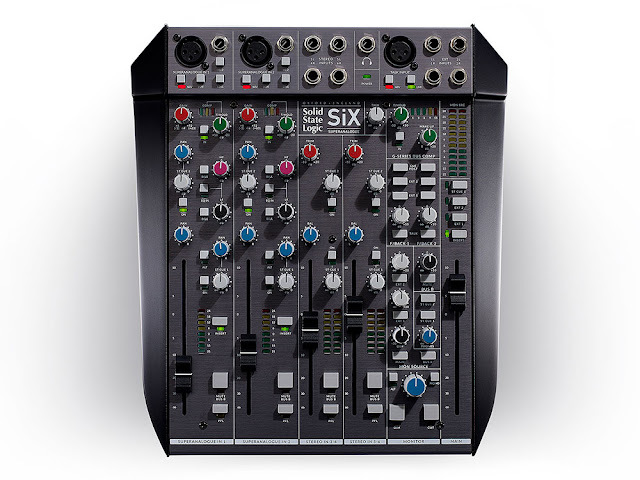 SiX is a classic SSL console, shrunken down and simplified to become a powerful desktop mixer. With a carefully considered feature set, SiX carries the DNA of 40 years of true expertise in creative studio workflow. It is powerful, intuitive, inspired and rewarding. SSL SiX is a condensed professional console for use in the studio, in post-production, on stage, and for podcasting. SiX offers classic SSL analog console sound and an impressive set of features in a format that is small enough to stick in a bag and go. SiX may be small but it offers the true SSL console sound; two recording channels with SuperAnalogueTM mic pres, two band EQ, an essential one knob version of the classic SSL Channel Compressor, a new two-band Channel EQ, inserts and 100mm faders. There is a two-knob version of the legendary G-Series Bus Compressor on the main mix bus and the unique Listen Mic Compressor on the Talkback. In mixdown mode it is a very capable twelve channel summing system that offers analogue detail, depth and width to your mixes. 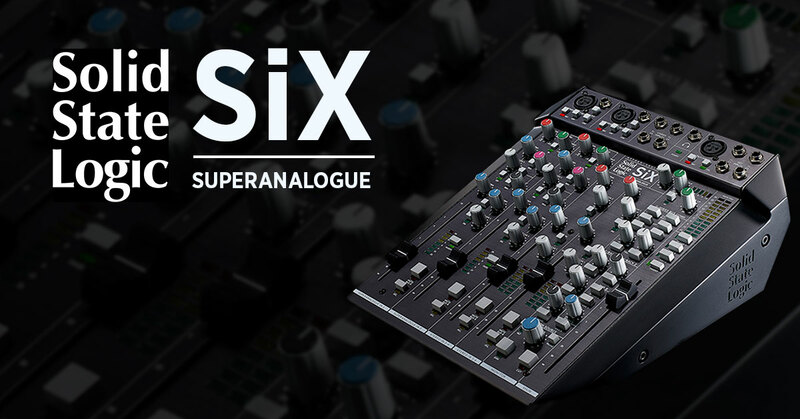 SiX also borrows a multitude of routing options from SSL's larger consoles – two stereo cue buses so you can make independent artist mixes, main and alternate monitor outs (with a source matrix), and mono check, dim, and cut. The fader channels also have real PFL (pre-fade listen), and the Mute button routes to Bus B – which can also be a record send for your DAW, or can get routed into the monitor matrix. SiX is now available from RSPE Audio Solutions. Shop now or contact your RSPE Specialist for more information.